Models of all ages graced the stage at Sunday’s High South Wedding Expo during a fashion show in the Boone Mall, each one showcasing a featured design in formalwear from South’s Specialty Clothiers. 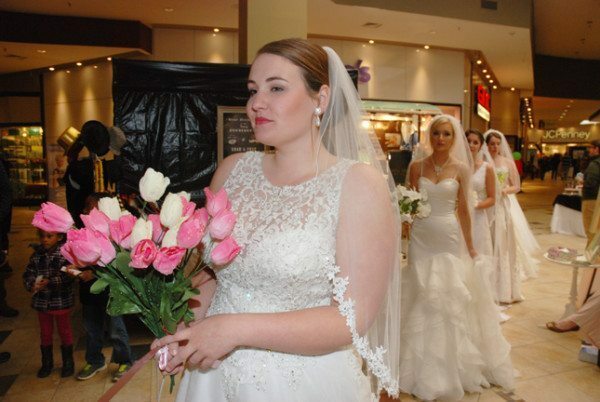 Bridal gowns, tuxedos, flower girl dresses and mother of the bride dresses were shown throughout the afternoon, giving the engaged couples and other guests in the audience a chance to check out what South’s has to offer this wedding season. Carolyn Brown, store manager at South’s, said there’s a big difference in the way a dress looks on the hanger and the way it looks when it’s worn. More than 20 models walked across a stage styled by A Bushel and a Peck Vintage Rentals and then out into the mall to show off their looks. 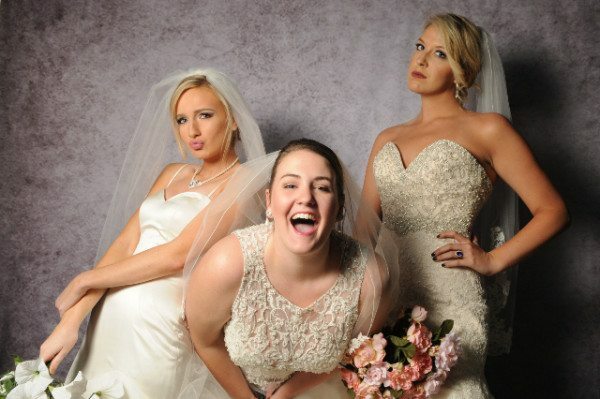 Bridal designs featured popular designers and collections like Allure Bridals, Mori Lee, Stella York and Casablanca. Prom looks included collections from Sheri Hill, Rachel Allen, Elise Designs, Mori Lee, Sean and Blush. The guys sported tuxedos from Jim’s Formalwear, some from the Michael Kors collection. Brown said the show was an important part of the expo because it gave each guest a chance to see several different styles in one afternoon, all while they were shopping other vendors and making plans for their upcoming events. “It gave them an opportunity to see the dresses on someone, and how much prettier they are versus when they’re hanging on a rack in the bridal store,” she said. Shortly after the show, Anna and Devin Ulery were on hand with Boone Photo Booth to capture some super fun moments with the all-dolled-up bridal and prom models. Learn more about South’s at southsclothiers.com or check it out in the mall. High South Wedding Expo 2016. Photo by Boone Photo Booth. Photo by Boone Photo Booth. High South Wedding Expo 2016 Fashion Show. Photo by Ken Ketchie.